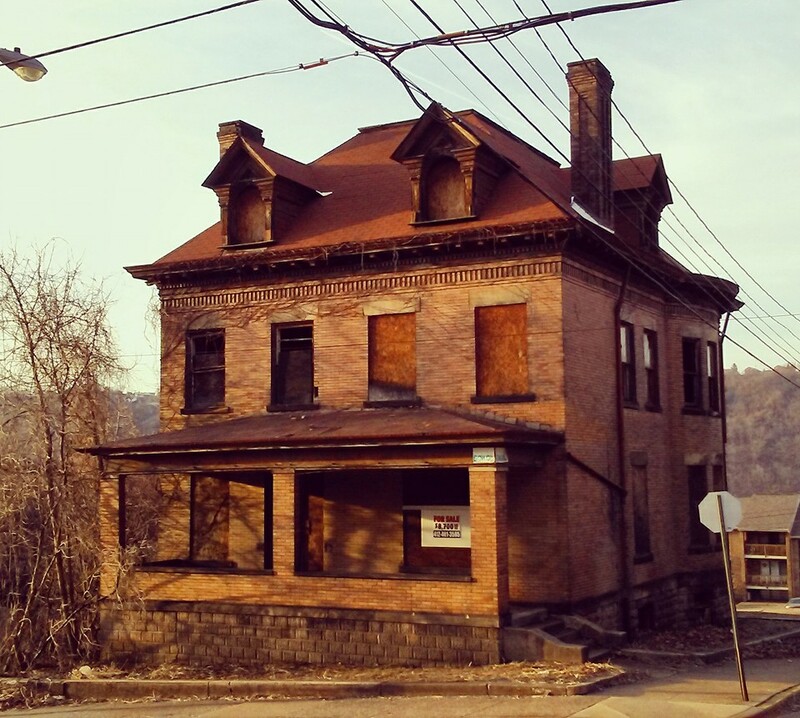 For Sale in downtown #McKeesport. 559 Shaw Ave. Grand, historic turn of the century house, zoned commercial. Solid bones. Needs complete restoration. Call 412-401-3585. Most woodwork is intact. Owner is asking $8,700. I hope someone who loves old houses will buy it. The roof looks new and in-tact...is it? Beautiful double chimneys, and that dentil brickwork! Here's hoping it doesn't turn to rubble.